If you follow our #myhouseandhome hashtag on Instagram, you know there's an abundance of gorgeous Irish homes on Instagram. We know Pinterest is great for aspirational home decor inspiration, and while that has its place, we like to keep it a little more real around here where possible, so today we're shining a light on some Irish kitchens that may feel that bit closer to home. With a huge mix of styles on the hashtag, you won't be scrolling too long before you find someone who matches your style. It goes without saying, if these Irish kitchens take your fancy, you can probably be guaranteed the rest of their houses are pretty solidly decorated too, so you can click through and follow for more! If you missed out on @oldvictoriannew's real home tour, you should make it your business to catch up! We love how super slick his kitchen is, and the colour speaks for itself, but you better believe the rest of Darren's house is equally as stylish. If you're looking for tips on how to style your home for Instagram, take notes from @Sixat21's feed! The muted colour scheme paired with the wood tones is just beautiful here.  We loved @behind.theyellowgate's kitchen since we saw it during our real home tour of her gaff, but it was even more impressive when we realised the limited budget she pulled it together with. Read her budget breakdown story here. 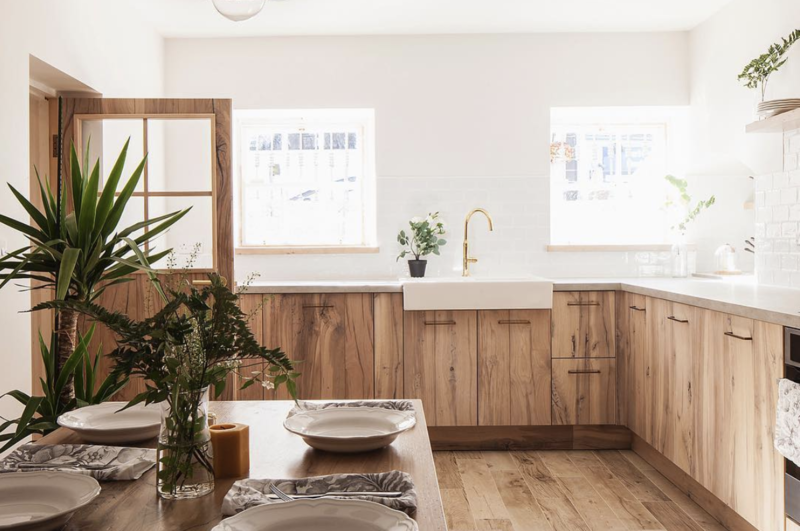 Perfect proof that you can mix old and new and come up with something ideal for the space, @vintagehillcork's kitchen is gorgeously bright and airy, built with form and function in mind, and packed with personality. We are in a full on love affair with @6highstreet's gorgeous bright and airy kitchen. The wood makes the space feel warm rather than clinically bright and the greenery and gold accents finish the room off beautifully. Another Cork-based kitchen, @gillderiu's mix of industrial pieces with what is otherwise a gorgeous, traditional kitchen is right up our street. For more from Gill, you can check out her insta-worthy tips over on her Room with a View. @Frieda_100's kitchen was originally dark and dingy, but it was worth sticking with until she could install the extension of dreams to house a new kitchen, and what a kitchen it is! Check out her full renovation story here. Have been MIA for the past 2 weeks with what I hope will be the end to this build finally! We had to have most of the kitchen/dining area re plastered and part of the ceiling replaced and I will honest to God kill with my own bare hands the next builder who says we have to have anymore work done or more fittingly, work re done 😡 On a lighter and much happier note though painting is to finally commence next week and look, look I can now show you the rest of the brick you have all so kindly asked to see ❤ Can I get a whoop whoop! 😁 Have plenty of playing around to do with what goes where but have dressed it all up as nicely as I can for now. On the second pic I wanted to give you all a little view of the pantry (if you can see it!) I created to the left of the sink area. It is floor to ceiling and I have integrated the fridge/freezer in it too. Will show you more as soon as the painting is done, that is in the new part of the kitchen where the ceiling is much higher. Hope you're all enjoying this lovely Friday evening wherever you are ❤ *** Have to edit and add before I forget that light fitting you see my wonderful other half made from scratch and I couldn't be prouder! You really can't beat exposed brick in any room in a house, but it's particularly special in a kitchen we feel. We love that @houseoffourwinds has let it shine by opting for opening shelving and a minimal extractor fan rather than covering it up with cabinetry. Those gold stools - we're obsessed! @Myoldbrandnewhome recently renovated her kitchen and we can't resist a deep blue kitchen press. Did we mention dark kitchens are a forever fave for us? @mydarkhome_'s is up there, and not just because of her amazing puppers. We love the small details like the chalkboard wall paired with the open shelving and retro style accessories. See more of Eniko's home in her real home tour here. All white kitchens are a classic for a reason, and when you have the space like @housebythewhitethorns does, why not go all out? Her smart cabinetry includes dummy drawers to disguise some unwanted kitchen appliances, too.